The latest mule of the second-generation NSX is missing the exciting bark of the Acura prototype that teased Indycar fans at the American Mid-Ohio Raceway in August 2013 (which you can listen to here). Initially, the new NSX was thought to be powered by a naturally-aspirated V6 hybrid drivetrain, a theory supported by the raucous soundtrack of the Acura prototype. 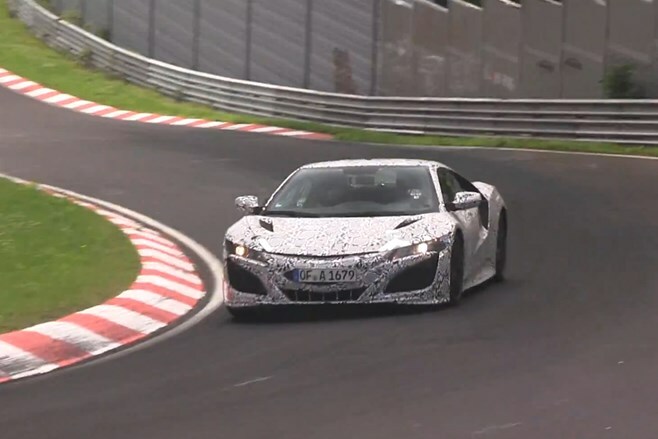 The latest video, however, is consistent with Honda’s display at last year’s Tokyo Motor Show revealing the NSX will use a twin-turbocharged V6 engine. The range-topping sportscar is still expected to go into production, its hybrid all-wheel drive system consisting of three electric motors, and a direct-injected mid-mounted petrol engine married to a dual-clutch transmission driving the rear wheels. Australian customers are promised the NSX will make it to our shores, however further details on its arrival and a launch date have not yet been revealed by Honda Australia.